In 2014, Mitsubishi introduced Outlander Automatic in India. This car offers up space and seating foe seven people without causing any kind of problem to back passengers due to its spaciousness. For the first time, there is a choice in selecting petrol engine or diesel. Bluetooth with voice control is standard even in the base model as is cruise control, climate control air conditioning and steering wheel controls. Parking sensors are also installed in this SUV. The safety features are a veritable grab bag of acronyms, which helps in case you have to stop the car in hurry. This soft roader is finding plenty of buyers and is one of the top five best selling medium-sized SUVs. Outlander is one of the best SUV and deserves nothing but the best. So this car should have nothing but the best battery and you can find the best car battery for your outlander at everyonechoice.com, where you will not have to worry about the price and the battery will be home delivered by us for free. 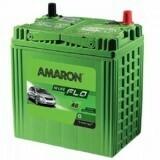 So buy Mitsubishi Outlander automatic petrol car batteries online and get it installed for free. 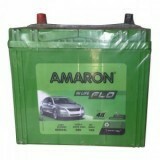 We provide the cheapest Mitsubishi Outlander automatic petrol car battery price in Delhi and India.